Miniature bird house/coot on a stake. Colour Rusty brown with white flecks. Material Metal with a rusted paint finish. 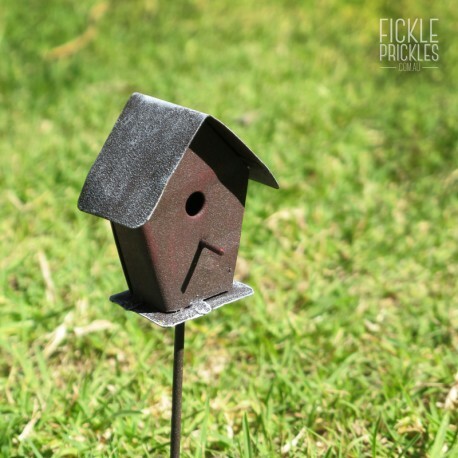 Dimensions Bird house is 5cm x 3cm x 5.5cm and the stake is 11cm tall. 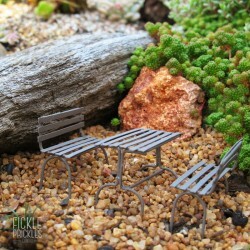 Uses Perfect for potted succulent gardens, fairy gardens, miniature gardens and terrariums. Can be shipped to This item can be sent to anywhere in Australia. Rusty brown with white flecks. Metal with a rusted paint finish. Bird house is 5cm x 3cm x 5.5cm and the stake is 11cm tall. Perfect for potted succulent gardens, fairy gardens, miniature gardens and terrariums. This item can be sent to anywhere in Australia.